Abby was born with a congenital heart defect and survived open heart surgery shortly after birth. Unfortunately, the hospital declared her brain dead due to prolonged deprivation of oxygen. Now, 30 years later, Workman is pioneering a new lifesaving procedure at what one of the most prestigious nursing schools in the United States. Her simulation program teaches nurses and physicians how to assess a patient in an urgent situation and perform an emergency intubation that enables patients to continue breathing. 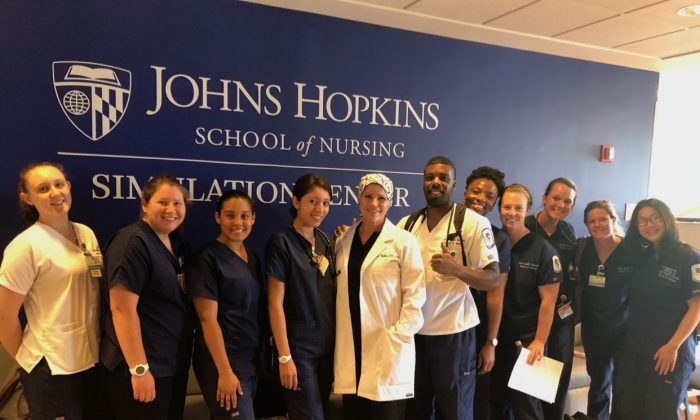 “As you all go about your careers, there will be challenges, and you will get frustrated.” Workman told a group of medical and nursing students at Johns Hopkins University, in Baltimore, MD on June 26, 2018. 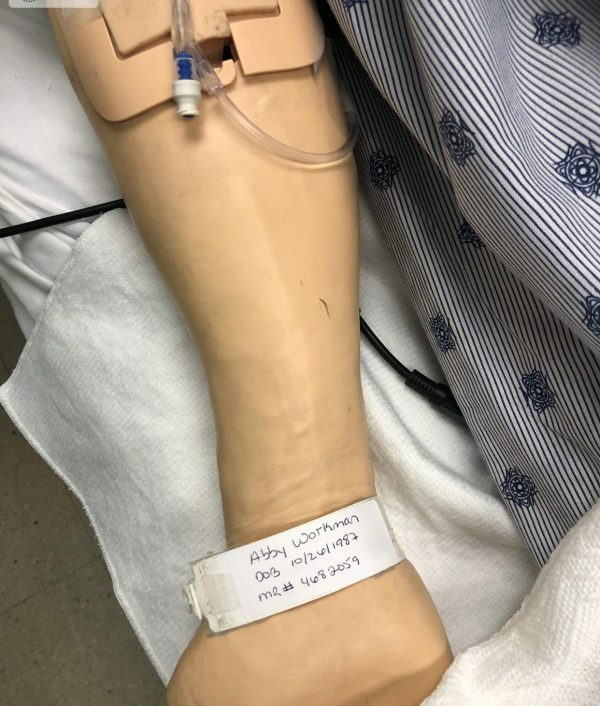 Workman, now an adjunct faculty and designer of “Unanticipated Emergency Intubation in the Hospital Setting,” dedicated the simulation held at the university’s School of Nursing to her baby sister. For the Workman family, the few years after Abby’s death were a financial nightmare due to uncovered medical expenses. Workman experienced bankruptcy and homelessness during high school. For seven years, Workman worked as a “critical care float nurse” in the ER, trauma bay, cath lab, OB, and ICUs. She then went to obtain a Master’s Degree in Nursing Science with a specialty in Anesthesia from Virginia Commonwealth University (VCU), where the nursing program was the first of its kind to use high fidelity simulation training in anesthesia. By that time, Workman was already married to an active duty military heart transplant surgeon who also did trauma surgery for the Army. When the Iraq War broke out, he was sent to Iraq for nearly a year. Meanwhile, Workman started to contemplate about her experience in critical care. “I’ve been in nearly every single type of unit in every single type of hospital setting in this country. As a military spouse, I’ve practiced in seven different states. I’ve been fully immersed in critical care medicine for the bulk of my career and have been in the shoes of both the hospital nurse and the airway provider, and I began to see a trend emerge. Over and over again, I’ve witnessed how poorly we function as a team during emergencies, even in monitored units like the ICU.” She felt a sense of responsibility to improve the situation. They had a painful divorce, which brought Workman’s personal and professional life to a heartbreaking halt. Workman enrolled in the Nurse Educator Program at Johns Hopkins. A year into the program, Workman needed to do a capstone project. Under the guidance of her mentor Sandy Swoboda, Workman decided to address the unanticipated respiratory arrest in the hospital environment through a simulation program. What makes the design unique is that it is truly interdisciplinary team training. It breaks the boundary of specialties and is a chance for medical students, nursing students, residents, currently practicing physicians and nurses of all levels to train together as a team. Dr. Fessler now recommends participation to all of his pulmonary critical care fellows, and it has become popular among the medical students and Internal Medicine residents, space permitting. 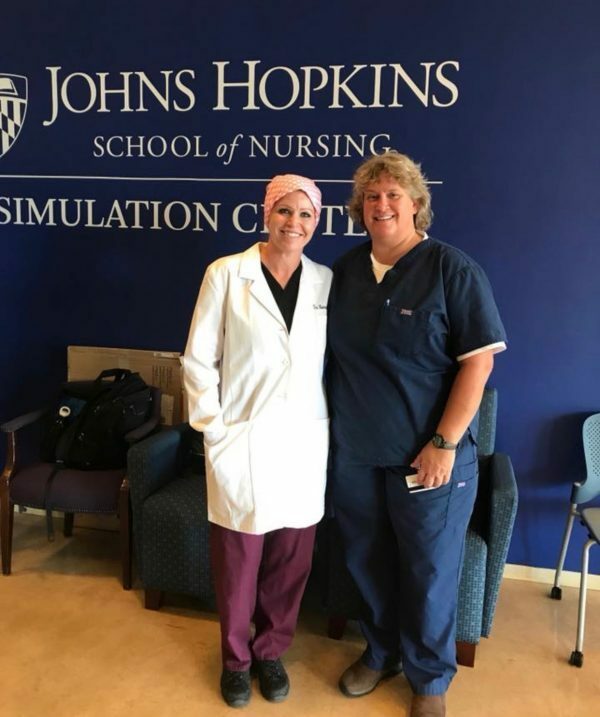 In addition, every Masters level nursing student graduating from Hopkins is required to go through the simulation. 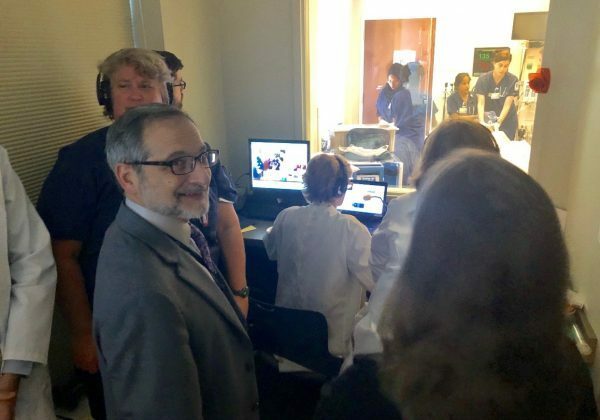 Also because of this simulation program, JHU has formed Rapid Respiratory Response Teams, who utilize the same concept taught in the simulation. This brings us back to the opening scene on June 26, 2018. On that day, the hypothetical patient was officially named after Abby, Workman’s baby sister, who would be 31-year-old had she lived. The simulation project is a gift to her entire family, who can now face the tragedy with gratitude. “With this, she lives.” Workman’s father said. The scene that was engraved in Workman’s mind happened in the ER waiting room on that fateful day.